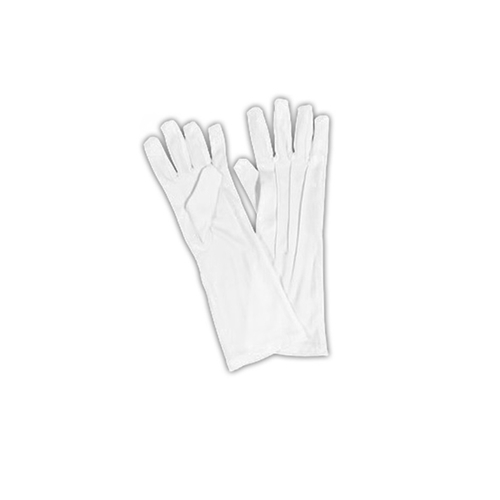 These extra long white nylon gloves are designed for primarily to be worn with a Santa Suit, but they can also be worn when wearing any costume that you don't want the wrists to be seen. Gloves feature a snap closer for a snug fit. The extra long white nylon men's gloves are colored as pictured. Gloves come up approximately 3" above the wrist, measuring 11" long in total.